It’s time for Back-to-School and this means that we are trading days filled with lounging by the pool or playing at the park for backpacks and school supplies. Since we still have a few weeks until school actually starts we have been trying to make the most of the time we have left. One of the ways is by not only having movie nights at home, but also by going to the movies. I was excited to see that one of the classic movies from my childhood, Ghostbusters, was remade and is in theaters now. I love being able to have the chance to share memories of my childhood with my boys. To celebrate, and to teach them about the Ghostbusters movie, I decided to make some Ghostbusters-themed chocolate-covered party popcorn. 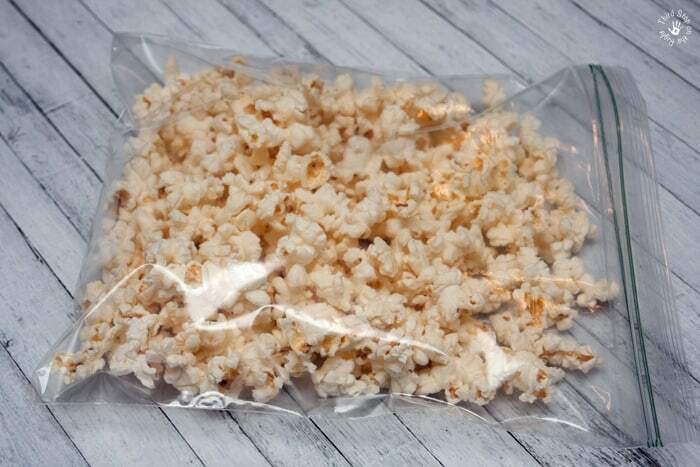 This popcorn actually works best with popcorn that has minimal butter. I picked up some packages of popcorn that were lightly salted and only had a hint of butter at my local Walmart. Next, you will want to melt some meltable chocolate wafers in the microwave. I chose the red chocolate to help celebrate Ghostbusters, but these meltable wafers come in a lot of different colors. Microwave the wafers in 20-second intervals until the chocolate is smooth. Then spoon a large amount of the chocolate into the zipper bag. 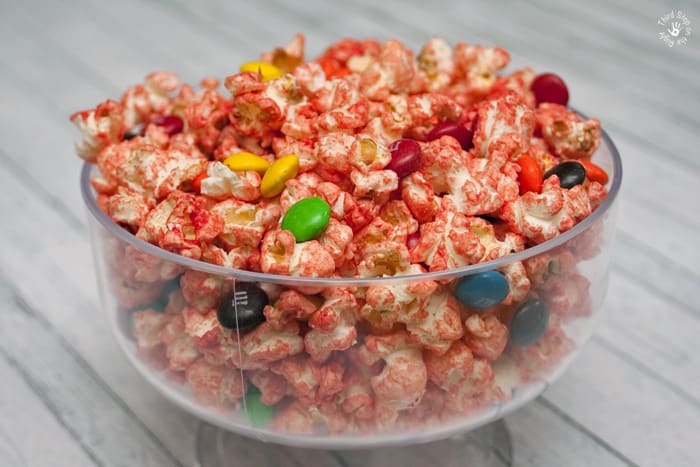 Roll the chocolate and the popcorn together in the bag until the mixture is well coated. 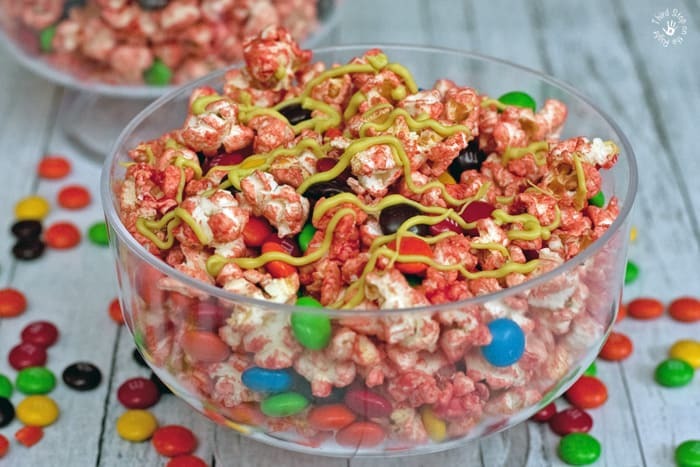 Transfer the popcorn into a serving bowl while layering in M&M’s® or other sweet treats. 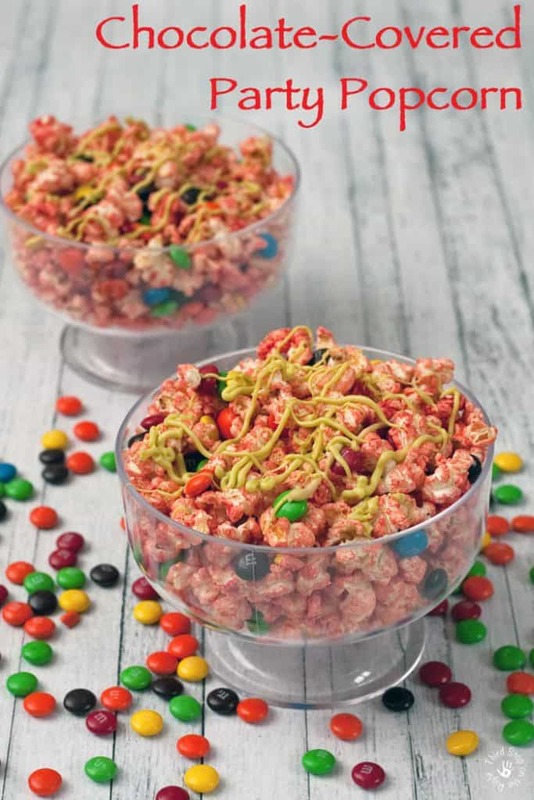 Afterwards, I used some bright, Ectoplasma-green chocolate and drizzled it on top of the popcorn and candy — it looked just like ghost slime! 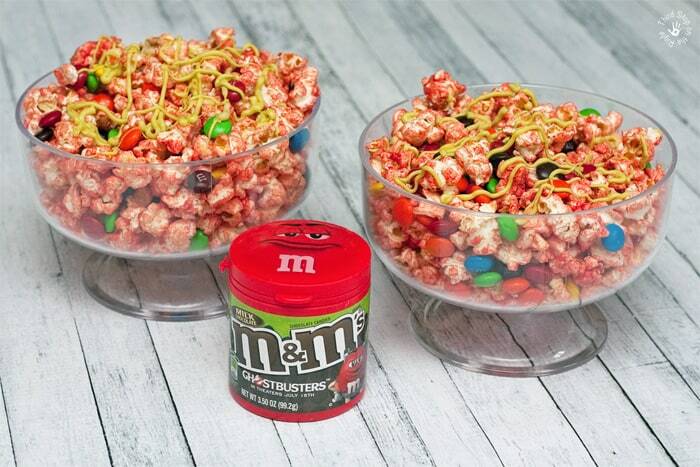 A perfect compliment to this chocolate-covered party popcorn are the Ghostbuster-themed M&M’s® bottles from Walmart. These bottles are perfect for both movie night and Back-to-School alike. They fit perfectly into a lunch box for a sweet after-lunch treat. 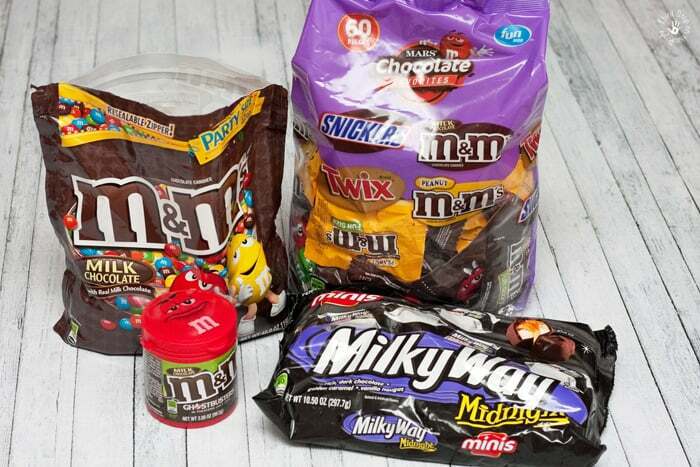 Some additional delicious movie night treats are products such as SNICKERS®, Milky Way® Midnight Miniatures, and a variety of other chocolate treats made by MARS. If you are like me and can’t decide, the Mixed Minis bag is perfect! 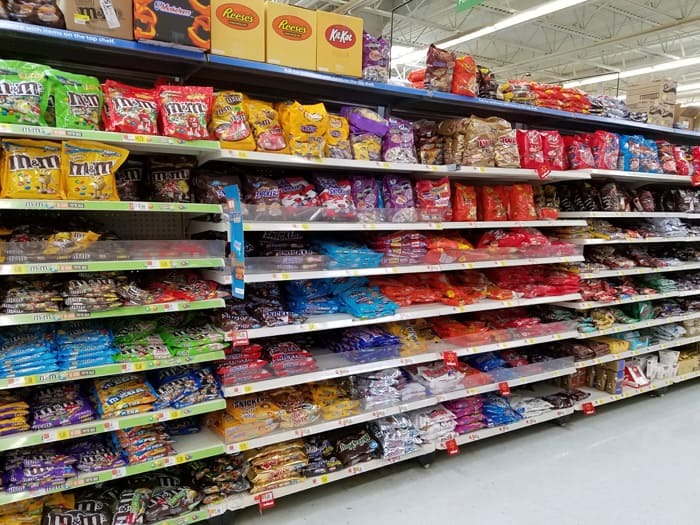 Just look for the special Back-to-School display or in the candy isle at Walmart. You can pick up Ghostbusters gear as well as everything from backpacks, lunch boxes, and everything you need to fill your Proton Pack, er, backpack at your local Walmart. Comment On: What is your favorite throwback Ghostbusters memory?